This tour enables you to explore Chinese rich history and diverse culture in Beijing and Xian, also fly to see the modern and fashionable in Shenzhen. 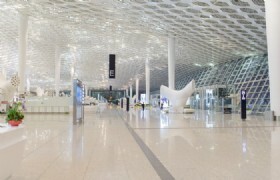 Our guide will meet you at the arrival hall of the airport. 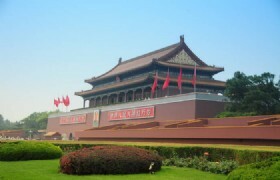 To make the maximum of your tour, our guide will transfer you directly to visit the first destination Tiananmen Square. As the largest public square in the world, Tiananmen Square is able to hold over one million people. 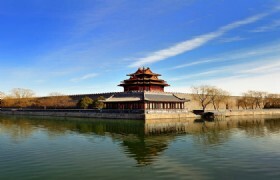 This famous monument in Beijing is often considered as a national symbol in China. The next arranged attraction to see will be 798 Art District. 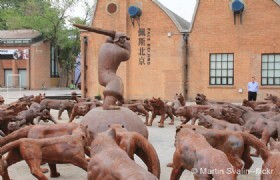 It is a thriving community with unique art shops and galleries to discover fine artworks of Chinese modern art. Then we will enjoy the amazing Acrobatics Show. After the show, our guide will bring you to the hotel for check in. After that we will move to Wangfujing Snack Street. 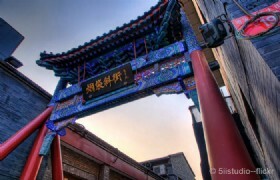 There you can have a feast for numerous shops and various kinds of delicious local Beijing snacks and specialties. After that we will arrange free shopping at Yaxiu Market. 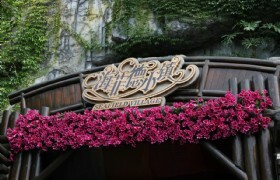 It is a very famous tourist shopping markets in Beijing. A large variety of goods is waiting you to discover and buy. After breakfast at the hotel, our guide will pick you up and transfer to Nandouya Mosque for sightseeing and doing prayers. After that we will proceed to the Panda House inside Beijing Zoo to see the cutest giant pandas. For tourists not convenient to see giant pandas in Chengdu, Beijing Zoo is a great destination to see the cutest pandas. 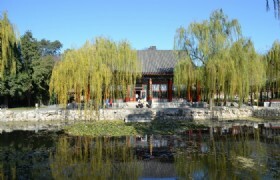 There are around 450 different species of animals to see at Beijing Zoo. Then we will have free shopping stop at Xiushui Market. 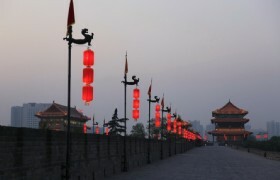 It is a large famous tourist market in Beijing and you will find a lot of specialized items to buy. 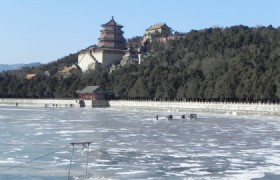 Afterwards, our guide will transfer you to the railway station for the train to Xian. 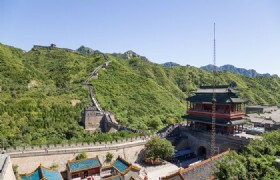 When you arrived in Xian, our guide will pick you up at the railway station and then transfer you directly to the first destination the Ancient City Wall. 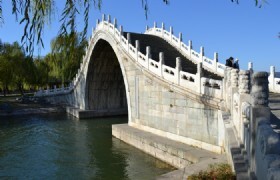 It is a famous landmark in Xian. 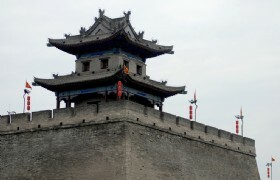 The City Wall is the largest and best preserved Ming Dynasty city wall. 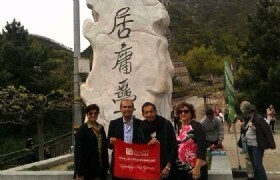 Visiting the City Wall, you can not only learn city construction and architectural arts in ancient times. Also you can get some good views of Xian city. 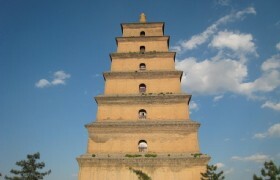 After that, we will proceed to visit the famous Big Wild Goose Pagoda. 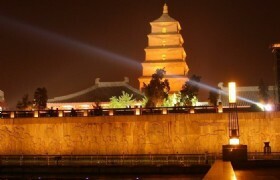 Big Wild Goose Pagoda is a famous Buddhist pagoda in Xian which was built in the Tang Dynasty. The Big Wild Goose Pagoda was built with traditional Chinese architectural characteristics and profound Buddhist culture connotation. Then we will move to Music Fountain Square for the appreciation of the beautiful scenery of water, music and colorful lights. 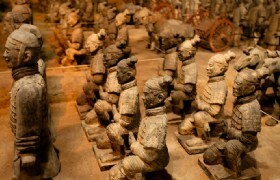 Today your sightseeing will begin with a visit to the Terracotta Warriors and Horses. It is dubbed as “World’s Eighth Great Wonder” and the largest excavation of the 20th century. Those artifacts of numerous life size terracotta figures of warriors and horses with different features, facial expressions, clothing and hairstyles arranged in battle formations provide live examples to study the military, cultural and economic of the period they were made. Then we will proceed to visit the Great Mosque. This is one of the oldest and largest mosques in Xian. Famed for its long history and unique architecture which is a combination of Islamic and traditional Chinese style, Great Mosque is a popular attraction for tourists coming to Xian. The last destination arranged will be the Bell Tower and Drum Tower. 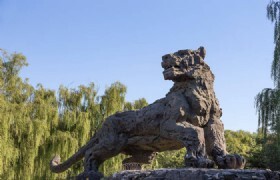 They are two symbols of Xian city. 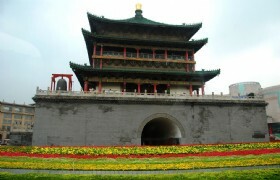 Built in the ancient Ming Dynasty (1368-1644), the Bell Tower and Drum Tower have thousands of years’ history with historical and cultural significance. 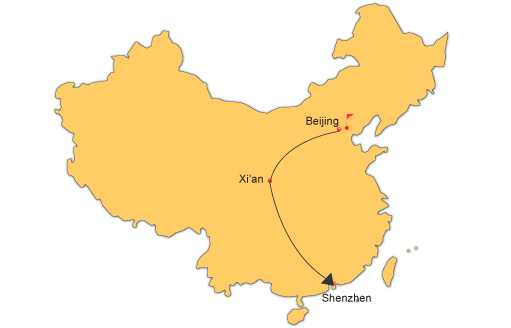 After breakfast, our guide will transfer you to the airport for flight to Shenzhen. When you arrived in Shenzhen, our guide will pick you up at Shenzhen Airport and then transfer you directly to visit Lotus Park. 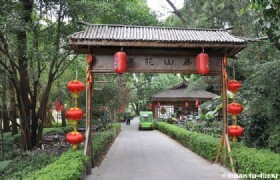 Lotus Park is one of the worthy places to visit in Shenzhen. Covering a total are of 166 hectares, the hill park is the largest green space in the central city area. Visitors can experience the joy of mountain climbing without being too exhausted. When climbed up the mountain, you will appreciate the Statue of Deng Xiaoping.Also you will get panoramic views of Shenzhen City. Next our trip will be extended to OCT East. The OCT East is a comprehensive amusement park built in the valleys and hills behind the Dameisha Beach. Featured with eco-tourism and themed entertainment areas, OCT East is a popular tourist attraction for leisure, tourism, outdoor sports and eco-adventure. Free shopping at Luohu Commercial City will be the last arranged activity for today. 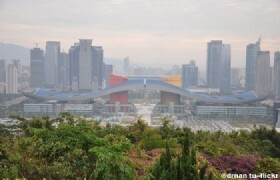 Luohu Commercial City is one of the major shopping centers in Shenzhen. 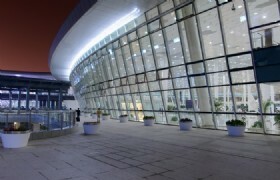 It is located in the Luohu District outside the Luohu Immigration Control Point. This is a large shopping center covering an area of 10,932 square meters. At Luohu Commercial City, there sells various kinds of products, including clothes, shoes, watches, handbags, purses, sunglasses, electronics, souvenirs, DVDs, home decoration products, toys, accessories, gadgets, etc. Items sold at the commercial city are of good prices with a good selection. Afterwards, our guide will transfer you to the hotel for check in and a good rest. After breakfast at the hotel, our guide will transfer you to visit Shenzhen Meilin Mosque. 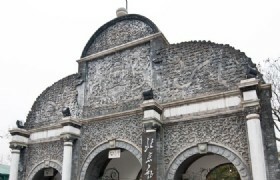 Shenzhen Meilin Mosque is now the only mosque in Shenzhen. 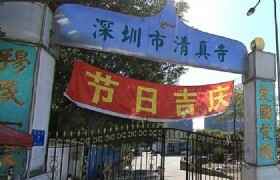 It is the center for doing prayers and other Muslim activities for Muslims in Shenzhen. Next we will proceed to have a visit at Di Wang Commercial Center. Di Wang Building is a symbolic landmark of Shenzhen City. It used to be the tallest building in Shenzhen with 88 floors. We will have an outlook appreciation of the building. Last we will arrange a visit at Dongmen Street for free shopping. 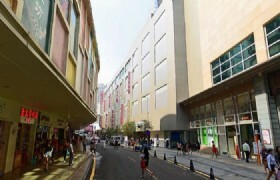 Dongmen Commercial Street, as one of the oldest commercial districts in Shenzhen, is one of the major shopping centers in Shenzhen. 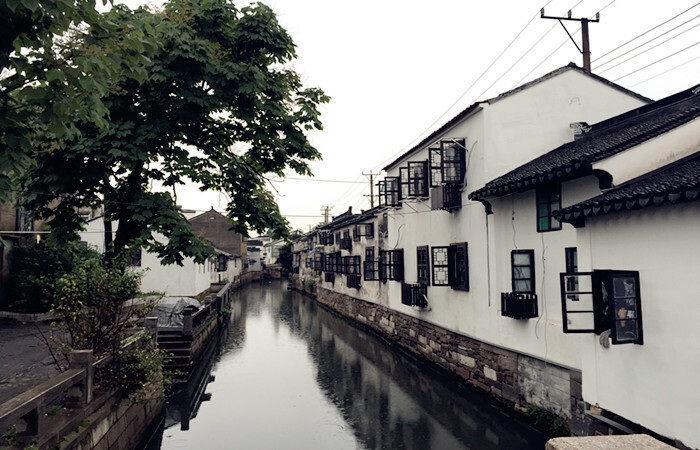 Dongmen area has a history of 300 years. The old Dongmen used to be the places where were mainly stalls and vendors that sold relatively low quality products. While the new Dongmen after the renewal, Dongmen Commercial Street has been the shopping street that combines shopping, entertainment and tour sightseeing. 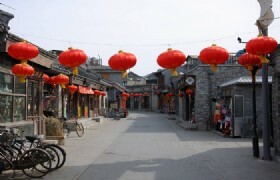 And Dongmen Commercial Street has been one of the top shopping streets in China. 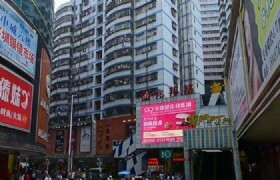 At Dongmen Commercial Street, there are numerous shops selling a wide range of products. Clothes, shoes, cosmetics, electronic gadgets, gifts, accessories, daily necessities and many other items that we need are almost can buy here. After breakfast, our guide will transfer you to the airport for your departure flight. Have a nice trip. Entrance Fees:?To scenic spots as listed in the itinerary. Meals:?All meals as specified in the itinerary. Private Transfers:?Transfers between airports, hotels and scenic spots while sightseeing, by private air conditioned vehicle with a driver and English-speaking guide. Excess Baggage Charges?Passengers holding an adult fare or half fare ticket are entitled to a free baggage allowance of 20kg, for economy class. Total weight of carryon baggage for each passenger may not exceed 5kg. The size may not exceed 20x40x 55cm. Personal Expenses:?Expenses of a purely personal nature such as laundry, drinks, fax, telephone calls, optional activities, sightseeing or meals not included in the tour itinerary. Meals:?Any meals not specified in the tour itinerary.